Arizona offers a wide variety of geographical locations for the camping enthusiast, with several campgrounds catering specifically to gays and lesbians. With close to 200 campsites throughout the state, Arizona is full of opportunities for those looking to whet their adventurous appetites. From the Ponderosa pine-covered Colorado Plateau to the arid deserts of the Basin and Range region, and from the peak of Mount Baldy in the White Mountains to the depths of the Colorado River in the Grand Canyon, Arizona is far from lacking in diverse geographical locations. The destination merely depends upon the camper's desires. 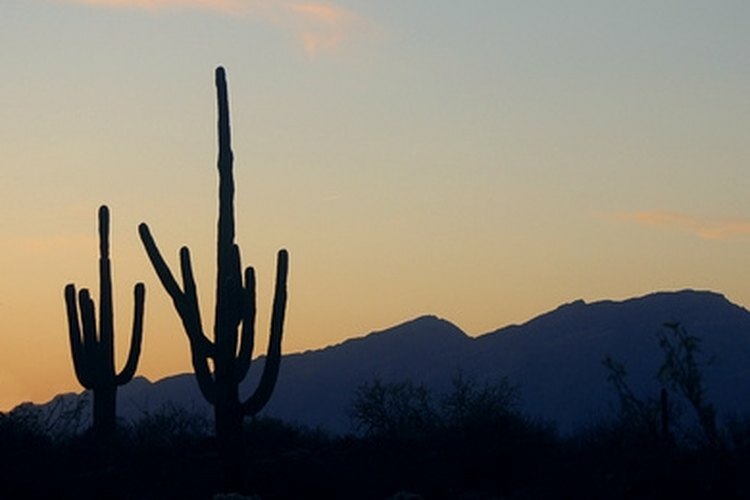 Not only does Arizona offer a wide variety of topographical locales, but campgrounds across the state also cater to an array of subcultures, including gays and lesbians. David's Oasis Camping Resort is a private establishment catering specifically to gays and lesbians. Located in Bisbee---near the southernmost border of the state amidst the hot Arizona desert---David's Oasis is open year-round. Attendees must be at least 21 and must enroll as members to enter into the resort. Membership is $15 for 12 months, $150 for a lifetime membership and $3 for a traveler's membership (available for one-time use for three consecutive days upon purchase for those residing outside the state). Situated on a 120-acre ranch, the resort offers campsites with electricity, tent sites, RV rentals, cabins, restrooms and private showers. The resort also has a recreation center featuring billiards, air hockey, table tennis, darts, an exercise area and an Internet cafe. The Copper Rainbow Bistro offers beer and wine, while the Corral is an outdoor patio adjacent to the bar and is clothing-optional. Located at 6,400 feet above sea level in eastern Arizona's White Mountains near the New Mexico border, Arizona High Country Campground is a gay campground open yearly from April to October. Rates are $30 per day or $175 per week and include electricity, sewer, water, and wireless Internet. Monthly and seasonal rates are also available. Tent sites are an additional $15 per day. The campground offers hiking along the famous Mogollon Rim (an escarpment comprising the southwestern edge of the Colorado Plateau) or trails to ride your four wheeler through the Apache-Sitgreaves Forest. Five acres of a certified wildlife sanctuary are available for nature lovers, while the more leisurely can visit the horseshoes courts or rent a video or book at the camp store or library. Situated west of Phoenix, El Dorado Hot Springs is a 7.5-acre mineral water spa located over a large, natural subterranean hot spring. Found in the middle of arid Arizona, El Dorado is a true desert oasis. It offers a variety of rooms, cabins, RV sites and tent sites at various rates, depending on the package. Package rates vary depending on included amenities (room size, bed size, heating and air conditioning and privacy of location). All packages include a soaking session in one of the resort's pools. Semi-private soaking is $7.50 for one hour, $15 for two hours or $20 for the whole day. Soaking in a private pool is $10 an hour for the first two hours and $7.50 for each subsequent hour. Reservations are strongly recommended.